Anna Porter's In Other Words is a memoir of life in the publishing trenches and how one restlessly curious young woman sparked a creative awakening in a new country she chose to call home. Anna Porter's story takes you behind the scenes into the non-stop world of Jack McClelland, the swashbuckling head of M&S whose celebrated authors — Leonard Cohen, Margaret Laurence, Pierre Berton, Peter C. Newman, Irving Layton, Margaret Atwood — dominated bestseller lists. 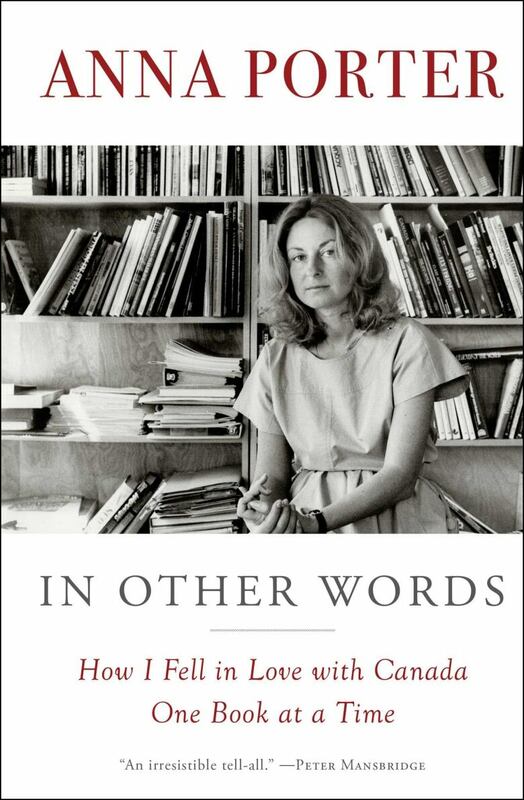 She offers up first-hand stories of struggling young writers (often women); of prima donnas, such as Roloff Beny and Harold Town, whose excesses threatened to sink the company; of exhausted editors dealing with intemperate writers; of crazy schemes to interest Canadians in buying books. She recalls the thrilling days at the helm of the company she founded in the 1980s, when Canada's writers were suddenly front-page news. As president of Key Porter Books, she dodged lawsuits, argued with bank managers, and fought to sell Canadian authors around the world. This intriguing memoir brings to life that time in our history when — finally — the voices Canadians craved to hear were our own. Most of the staff were women, which was the case for all publishing houses, but few were in management positions. Having babies was frowned upon and asking for raises when a woman was at the age of having babies was detrimental to promotions. Women, of course, earned much less than men. *Jack maintained he had hired more women not because they were cheaper but because he had "discovered that women are generally more efficient." I still have a copy of Jack's handwrit André memo to me explaining why my salary would stay at $10,000 a year, about 30 per cent lower than that of senior male employees. Even John Neale, who had started as sales manager after a couple of years as M&S sales rep in Ontario, was earning more. I was pissed off and let Jack know it, but I didn't quit, at least not then. I loved working at M&S. It seemed like the perfect job: being paid to read, to comment on interesting manuscripts, to spend time with extraordinary people. I wasn't angry at Peter and John; they were part of a delightful, usually inseparable trio, including John's black lab, and my low income was not their fault. It was Jack's. From In Other Words by Anna Porter ©2018. Published by Simon & Schuster.